Have you ever felt the need for putting off a task or two, or found yourself enjoying a lazy afternoon and forgetting your to-do list? You should not procrastinate, you are wasting precious time, if you want a lazy afternoon then book this into your schedule and not pretend that you are actually going to do. 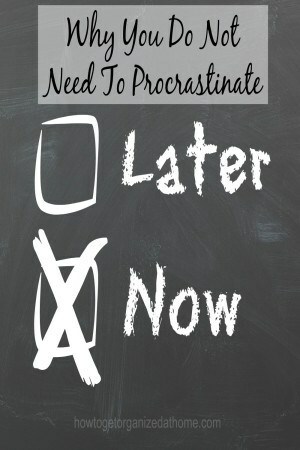 Every time that you procrastinate, you are wasting your valuable time. There are things that you can do to help you stop wasting time and putting off the things you need to do today. If you are looking for excuses to get out of doing a task, it is important to understand the reason as this can help in the solution. If you are feeling overwhelmed by the tasks involved and unsure as to what you need to do, then it is important to work out who to ask or where to find out the information that you need to help you complete the task. Another option, you feel that the task is going to take too long and you just don’t have the time to complete, can put you off from starting. All of these are excuses, there are ways and means that you can find out how to do something, or at least get the task started, it might surprise you and not take as long as you expected. Set a timer for 10 – 15 minutes and see how much you do, in the time. Often we don’t realise that we have wandered away from the tasks we set out to complete, we might get caught up on social media or end up sitting in front of the TV, when we know that we have other things to do. However, whilst these themselves are not bad, it is easy to get distracted and put off doing what we intend to do and instead waste time participating in the distraction. I have to turn the sound off on my computer because the ‘ding’ sound from social media is too tempting and I more often than not, take a quick peak and end up spending too long looking at social media than doing the tasks I had planned. You don’t need to procrastinate, it is possible to put measures in place that helps us stop this behaviour and to tackle the tasks in hand. Rewarding yourself for doing the task and having a five-minute break is a perfect example of working with the distraction rather than against it. Try breaking tasks down into more manageable tasks is important; if you are organizing, don’t empty everything out, just do small amounts, you might be surprised how much more you can do. Setting a timer is really helpful when it comes to a boring task, you know that you only have to do the job for so many minutes and then you get a break. I think the biggest obstacle I had to overcome is the need for perfection, if you are not going to do it perfectly why bother. This is how I felt and worked for years, everything that needed cleaning I did it because my standards where so high, no one else could do the task to that standard and for that reason no one helped. I had to let this go and now I ask for help and it doesn’t matter if it isn’t perfect, this has taken off so much pressure that I am able to do a 10 minute dust of the whole house, it is by no means perfect but it is better than nothing. 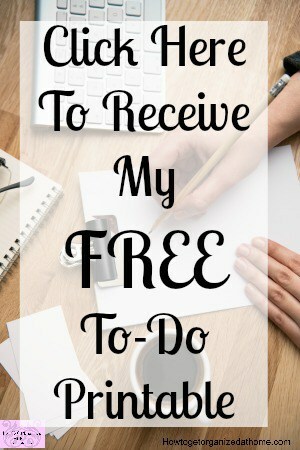 Therefore, it is possible to get things done, give yourself time for the distractions, use these as rewards for getting things done and staying focused. If you are looking for more articles on this topic head over to the landing page where you will find links to other posts on time management. Oh those FB phone dings! I gotta learn how to shut those off!! And taking each thing in smaller bites is an excellent strategy for me. Those FB dings are the worst I am sure! Small tasks and breaking things down is great, I have broken down washing the dishes before, it was too much to do in one five minute session and it helped! I can’t ignore new emails or messages, I just HAVE to check them out, even if they are junk! I know, I’m sad! I agree, putting things off is silly, because they usually don’t take as long as I think and I feel really good when the job is crossed off my list. Sometimes I can’t break down a task without talking about it out loud. My husband probably thinks the number of hours we spend discussing vacation packing is crazy, but that other perspective (or maybe just the process of explaining it to him?) really helps!